The death of time trialling great Ray Booty has been reported on the Cycling Time Trials website. A number of friends and associates had told the organisation that he had passed away in his sleep on Saturday night following a fight with cancer. When Nottingham’s Ray Booty of Ericsson Wheelers famously broke the four-hour barrier for 100 miles in the Bath Road Club Classic in 1956, it made the national headlines, for this ranked alongside Roger Bannister’s sub-four minute mile. “Booty the incomparable, the incredible, the indomitable” ran the Daily Herald headline. It was the third competition record for the ‘100’ by the tall, bespectacled ‘Boot’ as he was affectionately known. Booty’s time of 3-58-28 gave him victory by over 11 minutes, and won him Cycling’s gold medal offered to the first man to beat the magic four hours and average 25mph. And this latest epic was achieved riding a fixed gear of 84 inches. 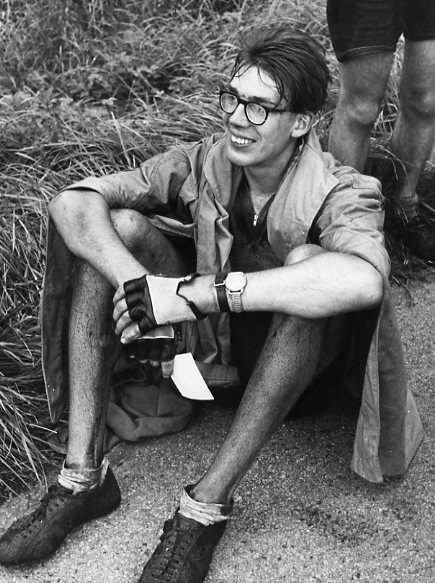 Second was Stan Brittain, who would finish second in the famous international stage race, the Peace Race in Eastern Europe the following year. Double Milk Race winner Bill Bradley was fifth fastest, while Alan Jackson, the Olympic bronze medallist at Melbourne was sixth; with future Giro d’Italia stage winner Vin Denson fourteenth. In 1954 Booty won the prestigious Manx International road race. And in 1958, he became Commonwealth Games road race champion at Cardiff. But it is for his victories against the watch for which Booty will always be remembered. 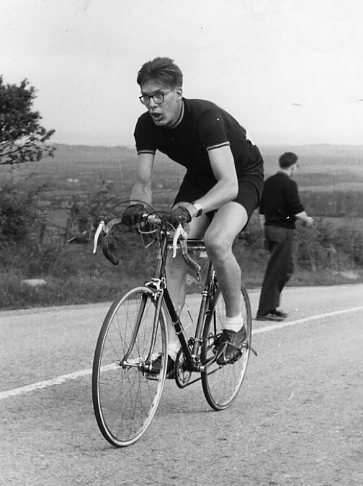 He dominated the sport of time trialling in the 1950s. In 1955 he became ‘100’ champion at York, in 4-04-30, winning by over five minutes and taking two minutes one second of the record. In 1956, he retained the title with another comp record, in 4-1-52. Then, the very next month, on August Bank Holiday Monday, he became famous for all time when he famously beat four hours. The following month he broke the Road Records Association straight out 100 in 3 hours 28 minutes 40 seconds. The record stood for 34 years!